Sacred Gardening is the twin book to “The Story of the Madawaska Forest Garden”, born from the same place and time. But like most twins they couldn’t be more different in character. Sacred Gardening is bold, confrontational and illuminating. 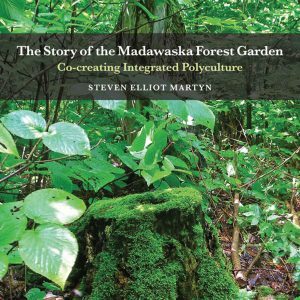 In his second book Steven Martyn takes the reader into a world beyond science, reason and the history we have all been taught; into an indigenous world, “where the Earth herself is our teacher, where we reside in the company of Gods and where we live surrounded by the reassurance of Her divinity, in all of Nature”. 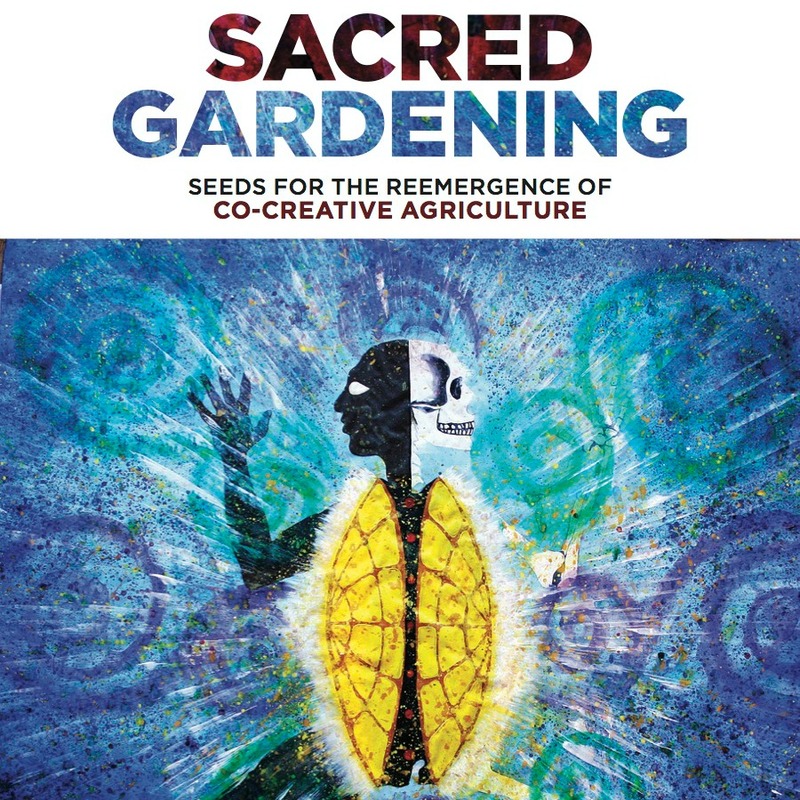 Look both ways when getting immersed in Sacred Gardening, because this book is an intersection, where permaculture meets indigenous land use and our schooling and rationality collide with the mythological reality of the Earth. In challenging both conservative and alternative views of gardening and land use, this book opens the possibility for a new chapter of co-creative polyculture. The Madawaska forest garden is one example of this ‘type’ of agricultural, presented in his first book. And Steven gives us many other examples in Sacred Gardening. These pages sketch out a new way of working with the land, find their legitimacy not from western literature, but from a more ancient and reliable source, Indigenous culture and the heart of living Earth. Sacred Gardening looks at pre-historic land use and the ’evolution’ of agriculture, with sweeping views from our distant past to our sustainable future! Steven leaves us with a sense of Hope and call to action; to molt our corporate cocoons and reclaim our indigenous, co-creative, handmade life.